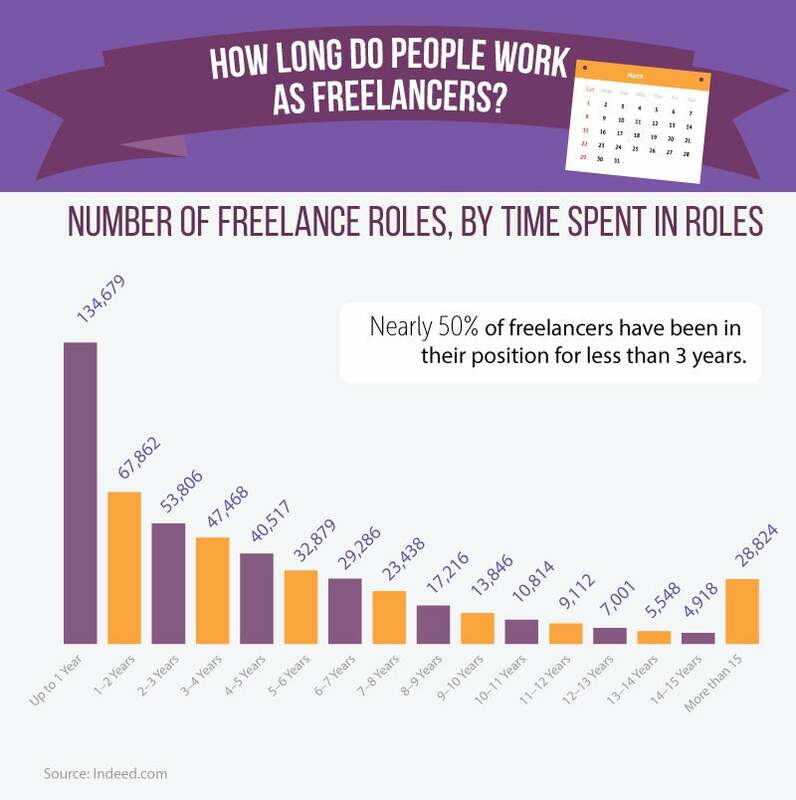 Freelancers are taking the world by storm. Ditching the nine-to-five life to set their own hours, nearly 53 million Americans today work as freelancers. A recent study by Paychex, an online HR service, reveals surprising data about the rapidly growing workforce. Examining 400,000 freelancers’ resumes from Indeed.com, the report uncovers valuable insights on the economy, specialties and popularity of freelancing around the U.S. In the 1970s, '80s and '90s, freelancing was uncommon. 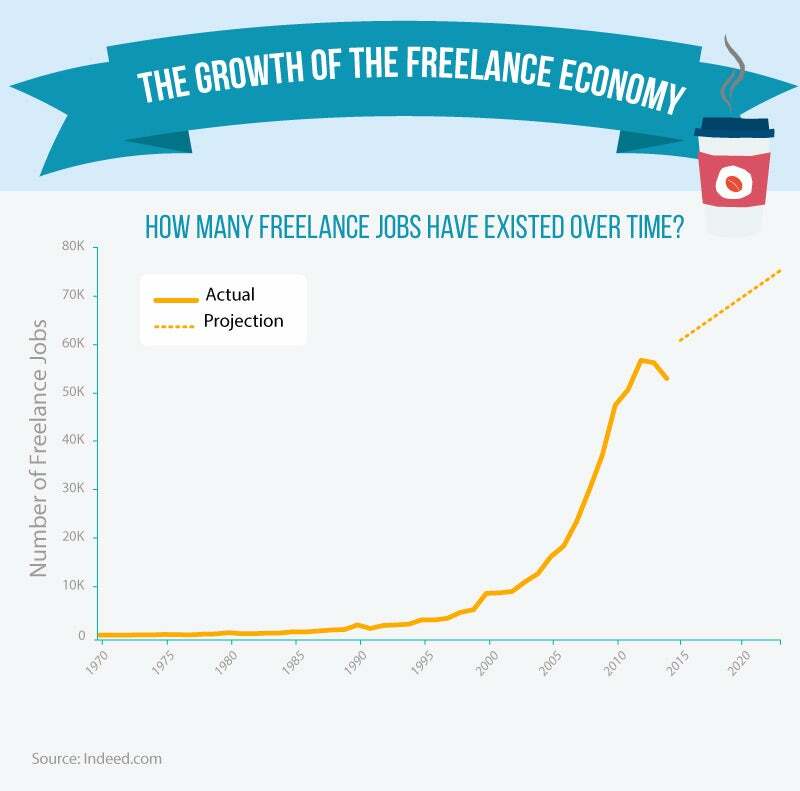 But once the new millennium struck and the idea of entrepreneurship began to entice people around the world, the freelancing economy saw epic growth. Between 2000 and 2014, this segment of the workforce grew by 500 percent, according to the report. Today’s trends of startups, pursuing wealth and following your passions are easy to attribute for this rapid growth. Technology and company cutbacks during the recession also come into play with the ever-expanding number. If you want to freelance, you’ve got to think big. Major and up-and-coming cities offer the most opportunities for freelance employees. Los Angeles, New York, Denver and Seattle top the list with the highest number of freelancers in each location. With an abundance of creative opportunities in these trendy cities, it’s no surprise that freelance writers, designers and artists populate these areas. 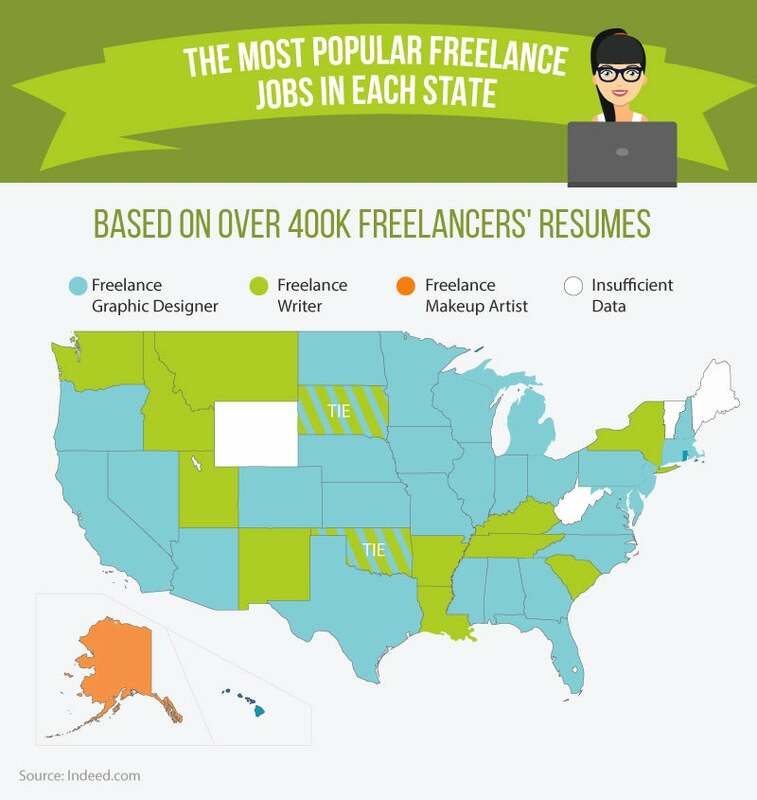 Freelance graphic design is the most popular gig across 34 U.S. states. Amongst these 53 million freelancers in the U.S., 14.3 million are “moonlighters” -- people who have full-time jobs and freelance on the side. Another 9.3 million also have multiple sources of income, such as a part-time job in addition to their freelancing. The remaining are full-time freelancers working on a project-to-project basis. As appealing as making your own hours may sound, many people get tired of the hustle. Of the 400,000 resumes analyzed, more than 134,000 revealed that most people only freelance for a year, returning to a more promising day job, perhaps for money or company benefits, the study suggests. Still, in a world that promotes independence, success and entrepreneurship, it’s no shock that the popularity of freelancing is on the rise.